Get ready to grill for #CookoutWeek – plus a giveaway! Summer time is here! For me that means spending time out by the pool, on my patio, getting other people to BBQ for me and conquering my fear of the BBQ grill so I can cookout more often. 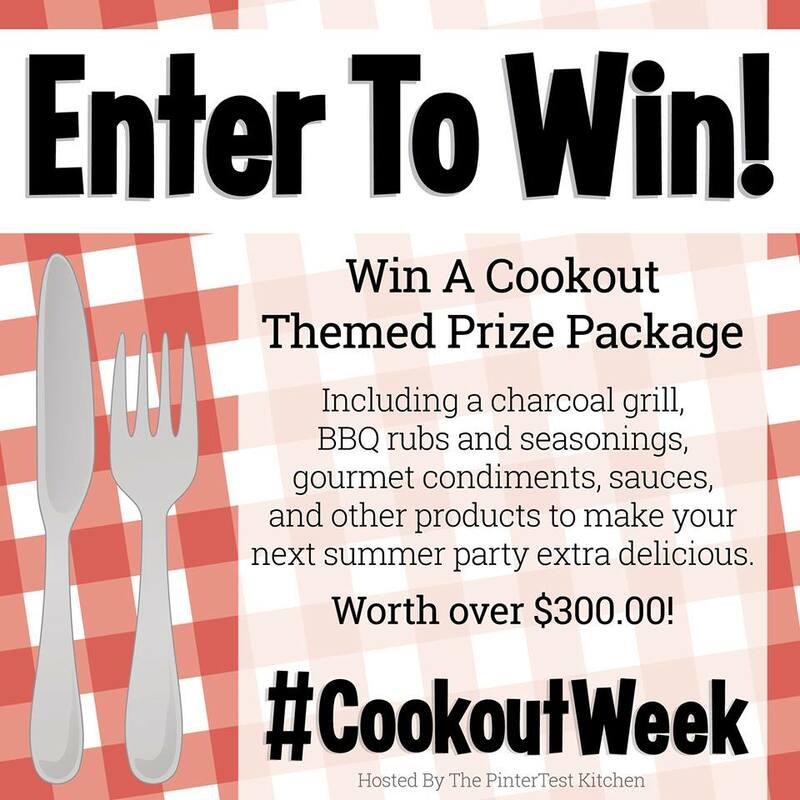 I love a good cookout and giveaways so I joined forces with around 50 of our blogging friends to bring you #CookoutWeek – an entire week filled with yummy summer recipes perfect for your next cookout, along with a fun giveaway, courtesy of some awesome sponsors. It’s pretty much everything you need to host an awesome cookout this summer. It’s a prize pack worth over $300! Thank you so much to all of the wonderful sponsors listed above, who have made #CookoutWeek possible.